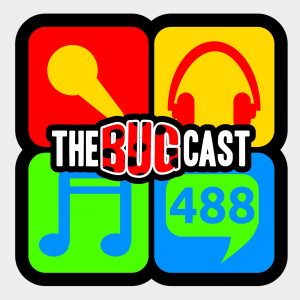 This week on The Bugcast: bears, gritters, automated voices, social media spying, and 8 amazing tracks of Creative Commons and independent music from Aviator Shades, Steven Dunston, Neon Niteclub, Mark Dantès, Jeffrey Philip Nelson, Marwood Williams, Bryyn, and The Brothers. This week on The Bugcast: we offer our congratulations, and play 8 great tracks of new and old Creative Commons and independent music from Quarto Vástago, Waterpistol, Sugarlab, Steven Dunston, Hullangó, Sean Fournier, Helana-Shadia, and Josh Woodward. This week, we discuss a couple of recent news stories, some geeky stuff, and play some fantastic music from To Leave A Trace, Larah Femina, Lorenzo’s Music, Sweetch, Steven Dunston, St. David, The Wind Whistles and Raindoggs. Despite both Dave and Caroline under the influence of virii and fever, we go ahead with Caroline’s song choice this week, picking out her favourite 14 tracks from the last year. Music from Tenpenny Joke, Rob Warren, Obsidian Shell, Singleton, Trench Town Oddities, Steven Dunston, Belladonna feat. Michael Nyman, Nodreams, Diablo Swing Orchestra, Leigh Mary Stokes, Reform the Resistance, Sean Fournier, Stefano Mocini and The Nuri. A very special anniversary for Dave and Caroline this week, so we celebrate in our own special way with 8 stonking pieces of music from Croxing, In Isolation, MOB, Crete Boom, Steven Dunston, Can’t Stop The Daggers, Hungry Lucy and Dan Bryk. We welcome our antipodean podcasting colleague, Erk from Channel Erk, into the studio, with some great music chosen by Erk and Caroline, from The Nuri, Steven Dunston, Amodus, Foundry Road, Singleton, Major Major, Trench Town Oddities and ME. A slow news week this week, so let’s just concentrate on the music, provided this week by Convergence, Sean Fournier, Belladonna (feat. Michael Nyman), neocrey, Karmafish, Cab 20, Steven Dunston and Sigurður Eyberg.